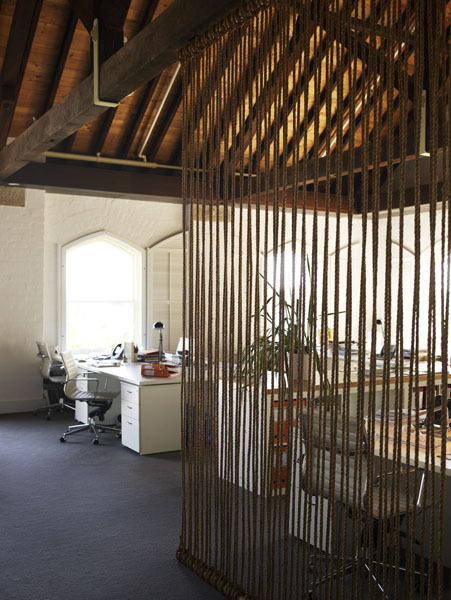 Here’s a great do-it-yourself room divider idea I spotted over at Remodelista from Australia design studio Alwill. 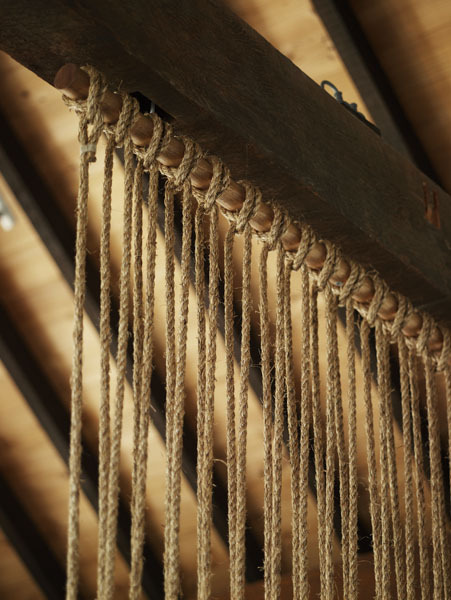 The divider was made with rope, tied to two wooden dowels, one attached to the ceiling and one attached to the floor. For another twist, try using a thick ribbon or colored twine in place of rope.